Prepare yourself for one of the most inventive and heavy musical experiences the Supernatch has ever seen. Creators of the most mythologised rock since the fall of the Berlin wall. Some know it as stoner-doom-grunge. Some call it sludge. 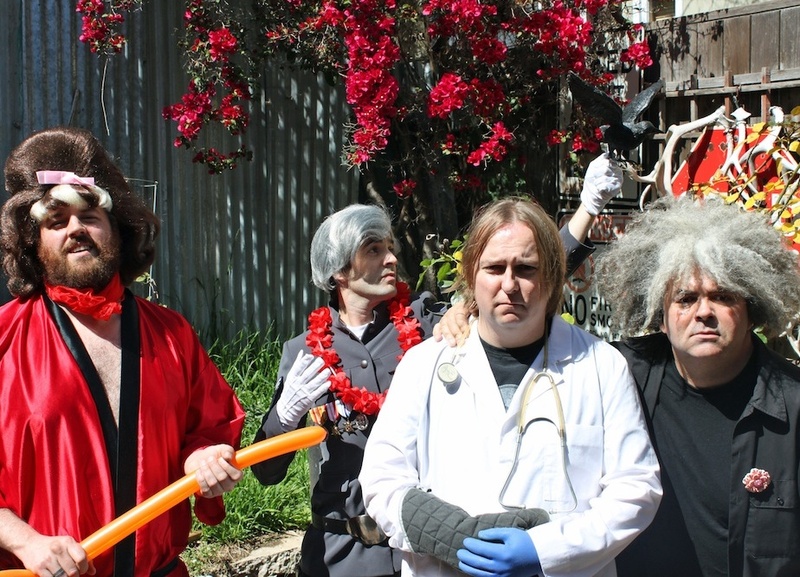 For the first time in Postcode 3333…it’s…(THE)… MELVINS! As the dust settles on the rock soundscape of the last few decades, the word MELVINS appears bigger and bigger. Kurt Cobain co-produced their classic Houdini, and they blazed the trail for what underground rock could be in the 90s, yet they remain peerless and unsurpassed today, continuing to warp minds via albums like Freak Puke, Pigs Of The Roman Empire and most recently Everybody Loves Sausages. Collaborations with Jello Biafra, Mike Patton and Tool have also borne delicious strange fruit. Get up the front and let King Buzzo and buddies take you through much of their ever-(mind)expanding catalogue of bizarro-hits.